One challenging task in Isogeometric Analysis (IGA) is the segmentation of domains, which are represented via their boundaries, e.g. arising from a computer aided design model, into suitable blocks and the construction of their spline parametrizations. This yields a multipatch description of the domain. However, errors can occur during the computation of the associated control points when constructing the spline parametrizations of a patch. This leads to the derivation of non-matching interface parametrizations, i.e. gap and overlapping regions can appear between the patch interfaces. 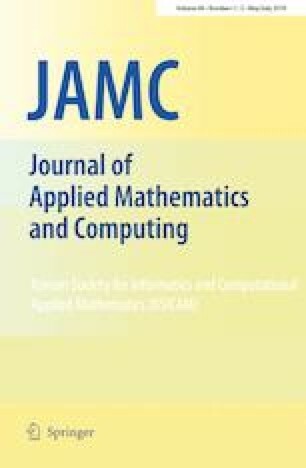 In this paper, we develop discontinuous Galerkin techniques in the context of IGA for solving elliptic diffusion problems on multipatch domains which can include gap and overlapping regions. This work is the continuation of two previous works, where we presented a complete discretization analysis for the case of having only gap regions. Here we focus on a unified presentation of the method for general gap and overlapping regions, and the development of efficient domain decomposition solvers based on tearing and interconnecting technology. In addition, we investigate the influence of the size of the gap/overlapping regions on the performance of the proposed solvers. Comparisons are shown and implementation issues are discussed on actual numerical examples. This work was supported by the Austrian Science Fund (FWF) under the Grant NFN S117-03 and W1214-N15, Project DK4. The third author was further supported by the Project: COMET K2 XTribology, No. 849109; Project grantee: Excellence Center of Tribology.